That’s one small sprout for plant, one giant leaf for plantkind. On January 3, 2019, Chang’e 4 became the first lunar exploration lander to touch down on the far side of the Moon. Chang’e, named for the Chinese Moon goddess (it was launched by China), had a special payload onboard. Along with a bunch of other scientific instruments, there was a tiny greenhouse. Four days after landing the first sprouts were seen. Along with cotton seeds, rapeseed, potato seeds, and arabidopsis seeds were chosen for their ability to germinate in challenging conditions. The biosphere experiment also carried fruit fly eggs and some yeast. The organisms were kept in a sealed chamber, protected from the extreme temperatures and intense radiation on the Moon’s surface. However, the biosphere wasn’t designed to withstand the extreme cold of the 14 day lunar night. After about a week, the sprouts died. 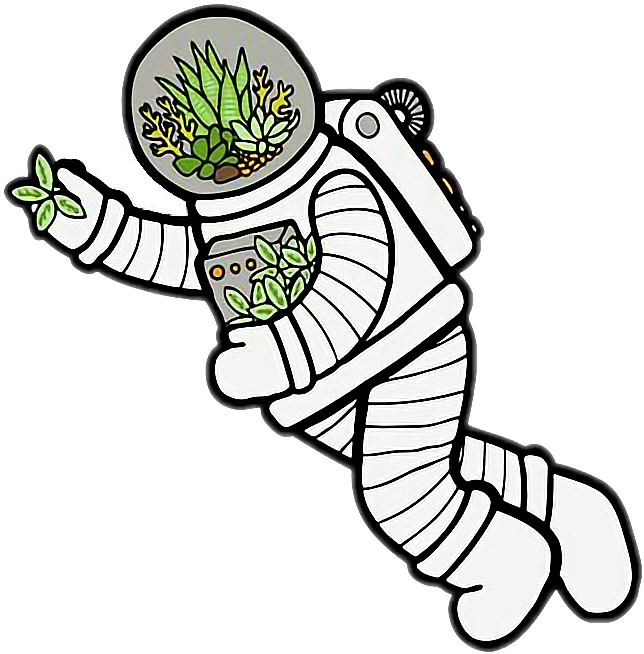 Although the experiment was short-lived, these brave plant astronauts are helping pave the way to growing food on future long-term space exploration missions. They’re also helping us understand plant biology here on Earth too. Onboard the International Space Station plants are helping us understand the scientific connection to the ancient wisdom of lunar almanacs. It turns out that farmers millennia ago were onto something. We’ve known for decades that plants follow a 24 hour circadian rhythm, their leaves rising and falling throughout the day. Humans have a similar “biological clock” and scientists had assumed plants had a similar internal mechanism. Even plants grown in darkness show this same motion of rising and falling leaves. The breakthrough came in the last few years. Peter Barlow (1942-2017), of the University of Bristol, UK, looked at data recorded from the 1920s onward on the leaf movements of beans and other plants. He matched these with computer models of the gravitational influence of the Moon at the time and location of the experiments. The data showed that when the lunar tide turns, so do leaf movements! Here’s where things go from cool to awesome. Barlow looked at data from plants on the International Space Station, and found they follow a 90 minute cycle instead of a 24 hour one. This is because the ISS orbits the Earth every 90 minutes, meaning its position relative to the Moon is changing faster! It’s not clear exactly how the Moon influences this change, but Barlow believed it has to do with the movement of water inside the plant. Ocean tides are produced by the pull of the Moon’s gravity and Earth’s rotation creating bulges of water on opposite sides of the planet. A similar process might be happening at the microscopic level inside each plant. This brings me back to the wisdom of our farming ancestors. They believed that when the Moon was waxing (becoming full), the Earth “exhaled” and sap (water) would “flow up”. This was the optimal time to plant seeds and harvest crops. When the Moon was waning (becoming new), the Earth “inhaled” and sap (water) would “flow down”. This was the barren time. A time to kill weeds and fertilize crops. It turns out that some farmer 5,000 years ago discovered something that took us sending plants to the most complex facility humans have built in low Earth orbit to confirm. Sometimes I think we’re really smart with our fancy smartphones and spaceships, but then we discover (rediscover?) something like this. Check out Uncle Jim’s Almanac, it turns out it might be more science than pseudoscience after all.